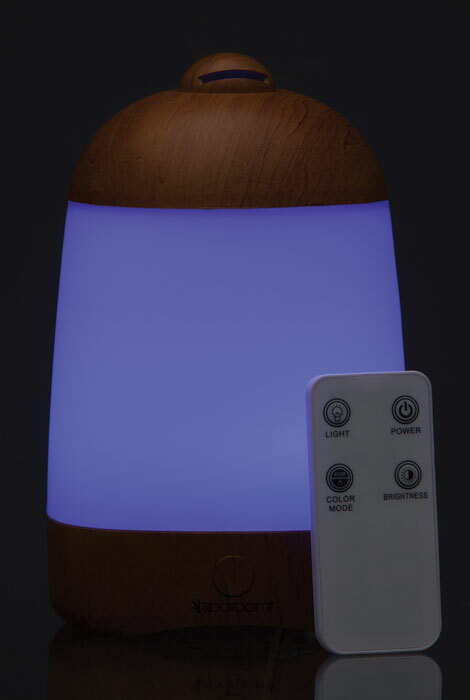 Enjoy the benefits of aromatherapy to your mind, body and spirit with this ultrasonic SpaMist® wood grain diffuser with remote control. Aromatherapy is believed to promote relaxation, enhance mood, relieve stress and harmonize the mind and body. 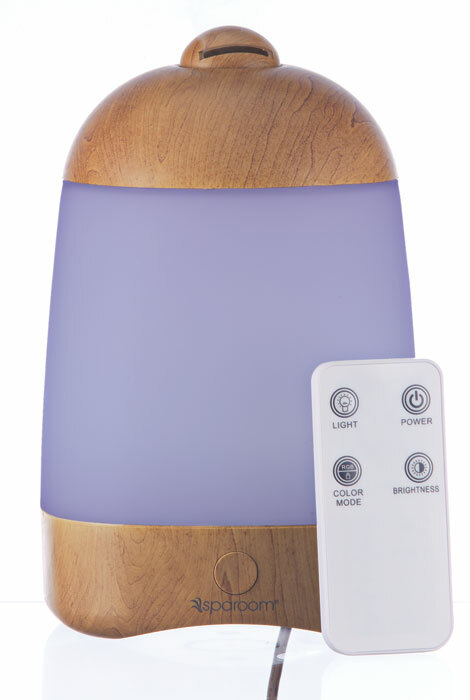 This easy-to-use diffuser has a natural wood grain look and a revolving rainbow of lights for ambiance when illuminated. Enjoy up to four hours of aromatic mist by adding a few drops of essential oil to the water reservoir. The included remote control adds convenience. Suggested room size 150-200 sq. ft.
Add a few drops of essential oil directly to the water if desired. Use it with the sleep aromatherapy oil which really seems to help. Do find the water container is a little small. The color changing light or just the lights in general are to distracting, so I just turn them off.